Boaters who want to explore the shallows now have three new engine choices from which to choose with the launch of the jet-driven Honda 40 Jet, 65 Jet and 105 Jet Honda Marine outboard motors. The new lineup of jet-propelled marine motors pairs Honda powerheads with jet drives designed to for boating in ultra-shallow waters. According to Honda Marine, all three new models offer the same dependable, quiet and fuel efficient operation as the Honda BF Series of propeller-driven models, with the super maneuverability and added benefits of a jet-propulsion system. 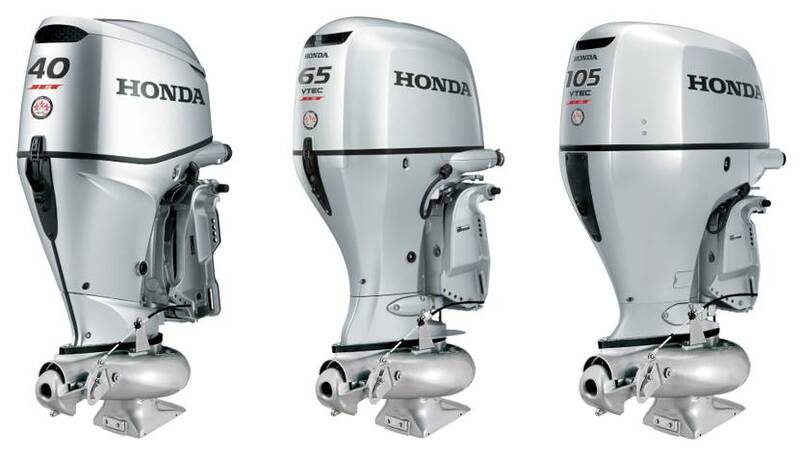 Honda Marine outboard jet models have no gearcase or propeller extending below the hull. The low-profile foot design allows a boater to maneuver in minimal depths without the fear of getting a propeller caught or damaged on rocky, rough bottoms, shallows, underwater obstacles or other low-water conditions that would challenge a prop-driven outboard. Jet-propelled motors are well suited for recreational and commercial boaters. Anglers who want to fish the shallows and edges; recreational boaters who want to explore streams, islands and riverbanks; and crabbers and shell fishermen who work in marshes and small creeks with fluctuating tides all appreciate the attributes of jet-propelled outboard motors. 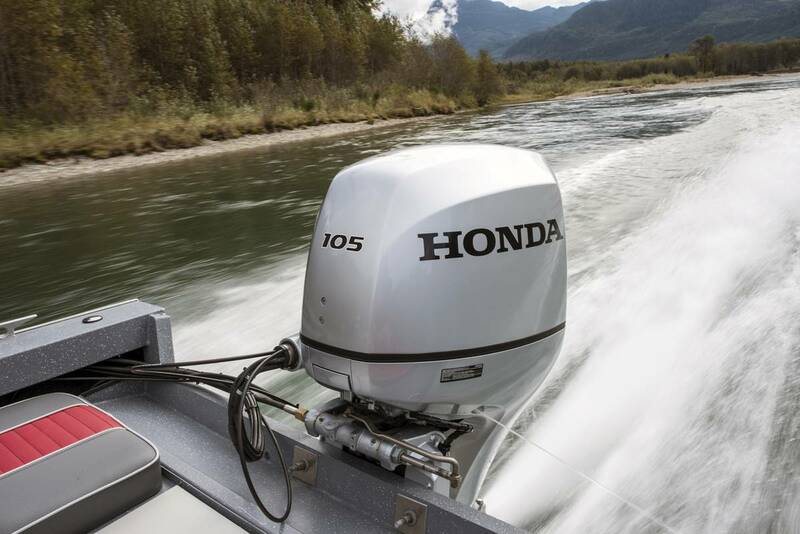 All three new Honda Marine models, the 40 Jet, 65 Jet and 105 Jet, are designed for dependability, fuel efficiency and easy operation, the manufacturer said. These jet-driven motors incorporate many of the exclusive and performance-enhancing features found on the full line of Honda BF outboards. In addition, all of the Honda jet models include overhead camshaft design; electric starting; Multi-Port Programmed Fuel Injection for quick starts; water cooled systems; and a Freshwater Flush Port. The jet models are covered by the best-in-class Honda True 5 year non-declining warranty for both powerheads and jet pumps. The transferrable warranty is the same on the last day as the first. Lean Burn Control, NMEA 2000, Multi-Port Programmed Fuel Injection, High Output style alternator and an Engine Alert System. 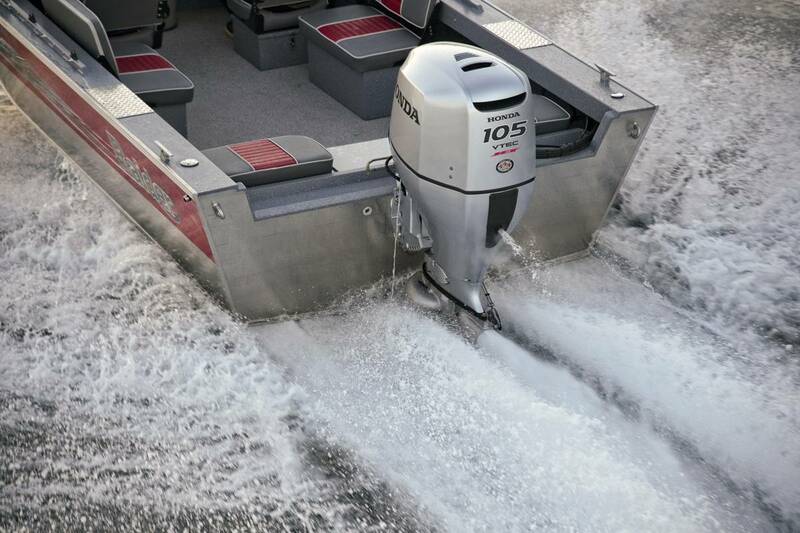 Rounding out the new lineup is the largest of Honda’s jet-powered marine outboards, the Honda 105 Jet. This model, built on the Honda BF150 powerhead and paired with a jet pump, features a dual overhead camshaft design and includes Lean Burn Control™, NMEA 2000®, Multi-Port Programmed Fuel Injection, High Output automotive style alternator, Engine Alert System, VTEC® Technology, BLAST™ System, Dual Stage Induction, and the 3-Way Cooling System. The Honda Marine 40 Jet and 65 Jet models are available at Honda Marine dealers now, with a starting U.S. Manufacturer’s Suggested Retail Price (MSRP) of $11,360 and $13,357, respectively. The 105 Jet outboard will be available by the end of 2017 and pricing will be announced at that time.